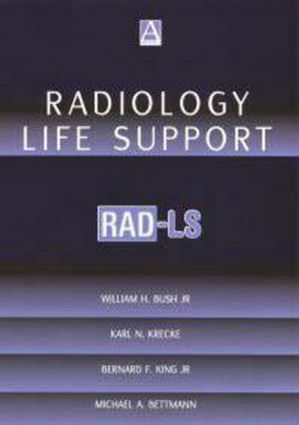 'Radiology Life Support' focuses on the adverse effects and life-threatening emergencies caused by reactions to the contrast media used in every modern radiology department. Such reactions are relatively infrequent yet can be severe and are therefore difficult to identify and then handle safely without training. All radiologists will experience at least a few such reactions throughout their career. This book teaches proper recognition and treatment of adverse contrast reactions, proper use of sedation and analgesic agents, proper management of an airway in an emergency situation and principle concepts in basic and advanced life support (including early defibrilation). The text is based on the successful training course run by the editors and sponsored by the American Roentgen Ray Society. Adverse reactions to contrast agents are somewhat difficult for physicians without practice to identify and then handle effectively. This volume is a useful aid to the identification process.